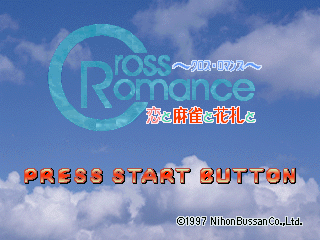 Cross Romance: Ai to Mahjong to Hanafuda to (クロスロマンス 恋と麻雀と花札と) is a table game published by Nihon Bussan for the Sega Saturn. It features mahjong and hanafuda, a Japanese card game. Main article: Cross Romance: Ai to Mahjong to Hanafuda to/Magazine articles.